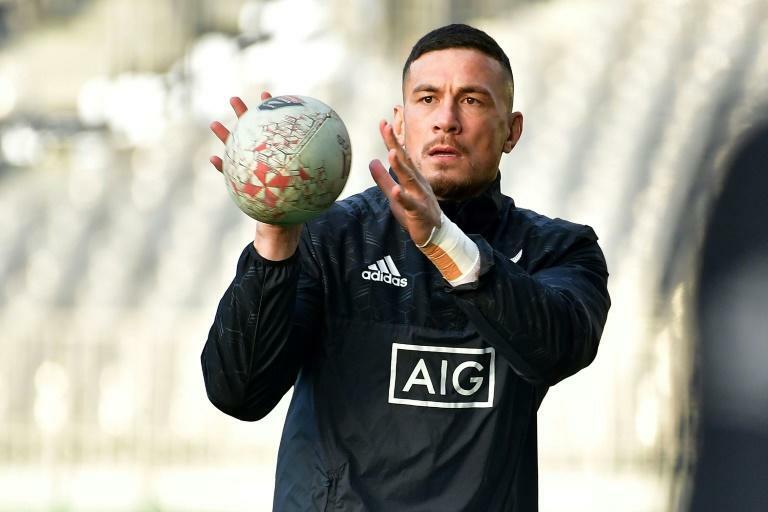 The battered and bruised All Blacks listed Sonny Bill Williams as a possible starter against South Africa next week after he spent three months sidelined by a shoulder injury. Concussion-prone Ryan Crotty was also declared fit to go, and lock Patrick Tuipulotu earned a recall on news that Brodie Retallick and Ngani Laumape would be out for several weeks after being injured in Saturday's hard-fought 46-24 win over Argentina in Nelson. Retallick could be out for up to six weeks with a shoulder injury while Laumape, brought into the squad as injury cover, faces missing three weeks with a damaged knee. But coach Steve Hansen said Crotty and Sam Cane had recovered from head knocks suffered against Australia early in the Rugby Championship, while Rieko Ioane -- recovering from a hamstring injury -- and Williams were also in the frame for selection. Crotty and Cane could have played against Argentina "but we just chose to give them another week", Hansen said Sunday. "Sonny, he'll get an X-ray (on his shoulder) again on Monday and if everything's clear there, he'll be available as well. "Rieko will be available, so whilst we're losing a couple, we're getting a couple back on deck as well." Williams, who missed the first two Tests against France in June following knee surgery, played 58 minutes of the third Test before injuring his shoulder and has been out of action ever since. With back-up lock Luke Romano already down with a calf strain, Tuipulotu got his recall after last playing for the All Blacks in November last year. The towering lock scored three tries in a provincial match over the weekend in what was his first game since injuring a shoulder in May. The All Blacks' six-tries-to-three win over Argentina kept them well in front in the Rugby Championship, with 15 points from three bonus-point wins.